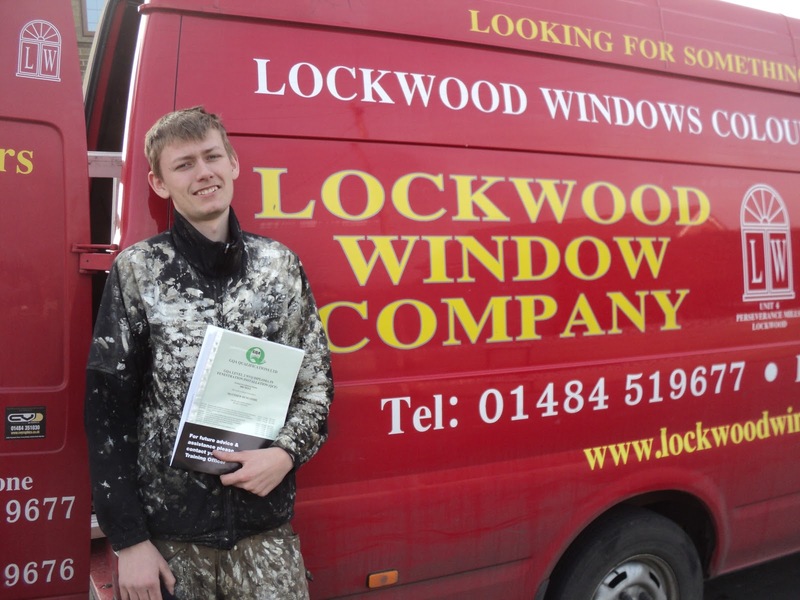 Matthew Duncombe, an employee of The Lockwood Window Company based in Lockwood, Huddersfield was congratulated recently on becoming North Lancs Training Groups first GQA e-portfolio full apprentice. 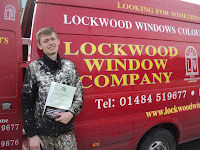 Matthew completed his Fenestration level 2 NVQ, Level 2 Certificate in Glass Related Operations technical certificate and his key skills using the GQA / Quals Direct e-portfolio system. Matthew commented “I found it easier to use the e-portfolio because I like to use computers and it also meant I didn’t have to carry my large portfolio to site for my assessments, it was easy enough to log in and use the system, even when I lost my password, I liked the fact that I could change the layout to suit me and I will be requesting the same system when I sign up for my Advanced Apprenticeship in a couple of weeks”. NLTG assessor Paul Fairhurst commented “Matthew was the guinea pig for the new system and it all seemed to work like a dream, I have used other e-portfolio in the past which can sometimes be quite complicated for both assessors and learners, however the GQA e-portfolio system is very effective and easy to use, it makes delivery more efficient and guarantees that the learner portfolio is available at all times, we are finding that more and more learners are now requesting e-portfolio as an alternative. The assessment and verification team at NLTG love it and the people at Quals Direct and GQA that run the system are also easy to deal with; any technical issues are dealt with efficiently, we are now offering the e-portfolio system to all GQA candidates through NLTG.